5 Bedroom Detached Bungalow For Sale in Yarm for Guide Price £425,000. PART OF BRIDGFORDS NATIONAL OPEN HOUSE CAMPAIGN, CALL 01642 711 555 TO BOOK YOUR PLACE Situated upon a generous corner plot, this extended five bedroom detached residence has been beautifully presented to a high standard filled with exceptionally spacious and light-filled rooms throughout. 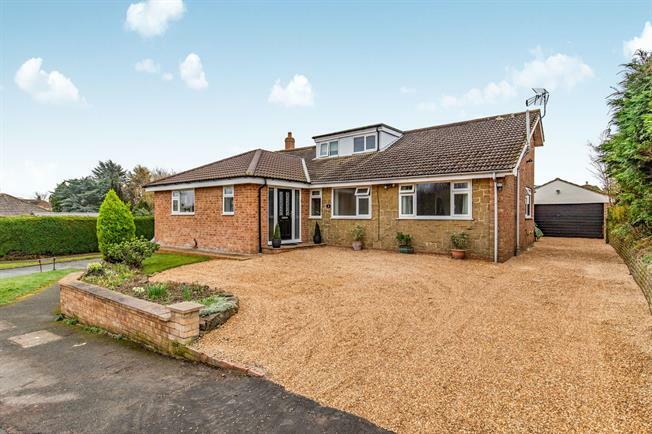 With well established garden to the front, side and rear, the property provides ample driveway, newly gravelled, providing space for several cars, with double garage and large patio area, the external plot is well designed and takes full use of its south facing aspect. With hard wood flooring and built in under stairs storage, the main hall leads to many of the ground floor accommodations. Extremely large living room, ample enough to allow for dining space if needed, with dual aspect window and doors leading on to the rear garden. Good sized utility with plumbing and space for white goods, with sink.